It's important to keep your feet cool and comfortable while you're training hard, which is just what these training socks, from sports specialists Puma, are designed for. 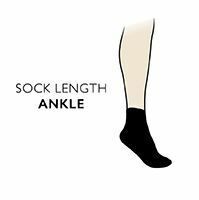 These ankle-length socks are smooth knitted and lightweight, with the added comfort of an interlocked hand linked toes for smooth seams and ribbed grip top. Now you can train harder, and train longer!